Rare 1995 footage of Metallica paying tribute to Motorhead at the Whiskey A Go Go in West Hollywood, CA. has surfaced. 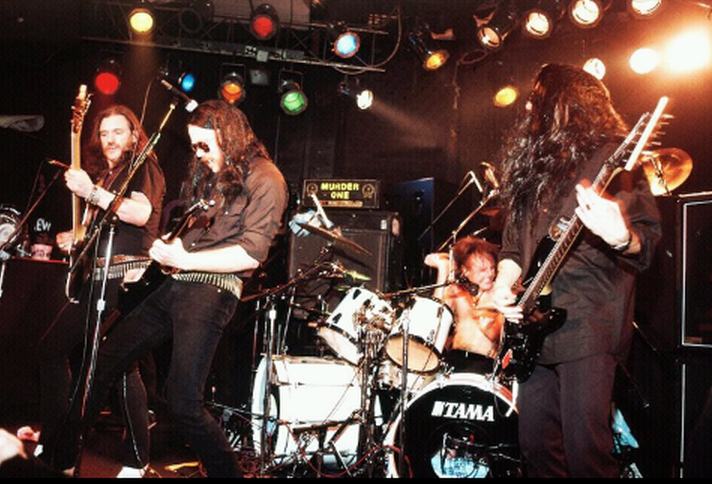 On December 14th, 1995, Metallica hit the stage at the famed L.A. club as The Lemmys to perform seven Motörhead covers for Lemmy’s 50th birthday party. The Whisky A Go Go has uploaded in-house video footage of the performance.